Preheat oven to 450º. Stir together all the dry ingredients until well mixed. Cut in the applesauce with a pastry cutter or two butter knives, until the mixture resembles coarse crumbs. Add the milk all at once and stir just until the dough clings together. 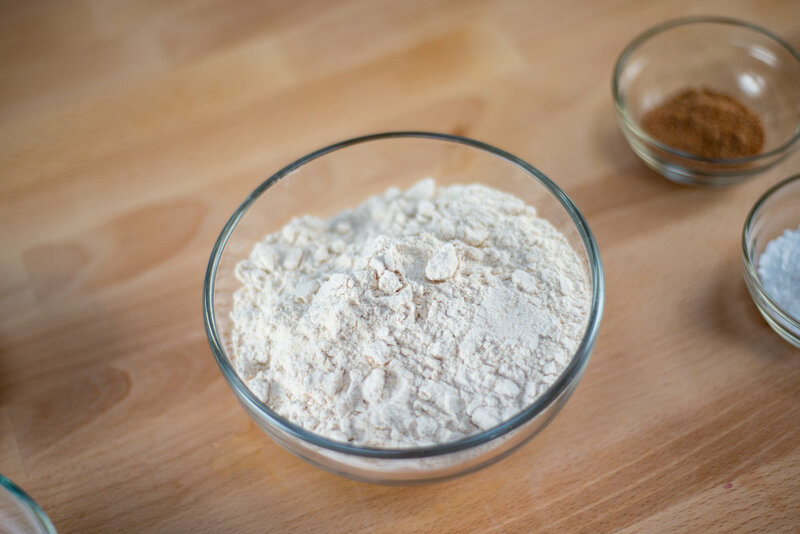 Lightly flour the surface of a cutting board and knead the mixture a few strokes. *Pat or roll dough to about a 1" thickness. Cut with a biscuit cutter, or the top of a drinking glass, dipping the edge into flour between each cut. Line a baking sheet with parchment paper and transfer biscuits onto it. Bake for 8-10 minutes or till the biscuits look golden. Serve warm. Makes about 8 biscuits. *Note: You can also bake these as drop biscuits. Just drop large spoonfuls onto your baking sheet, leaving room for expanding in the oven.